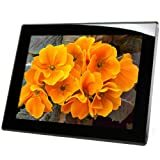 Amazon has the Micca M1503Z 15-Inch 1024x768 High Resolution digital photo frame With 8GB storage media, Auto On/Off timer, MP3 and Video player (Black) for $129 with free shipping. Sells for $129+ Highest Price. Deals for $120 Lowest Price. Normally $126+.